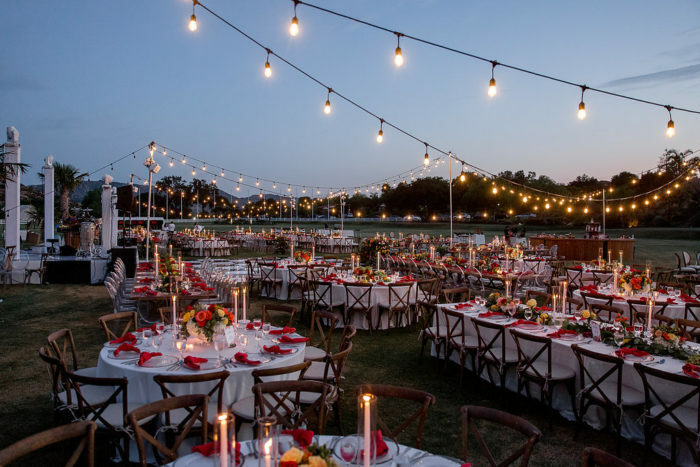 Hummingbird Nest Ranch is a space set apart from all others: A sprawling ranch turned event space, it features massive lawns and gorgeous architecture. 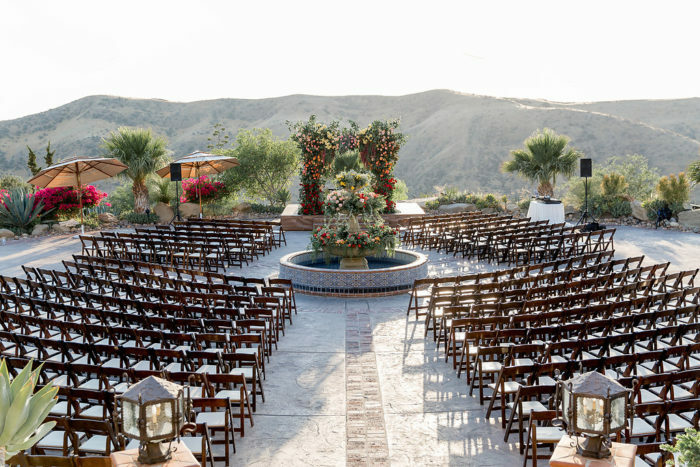 With the Santa Susana Mountains as a backdrop, it’s a truly special place for a wedding. 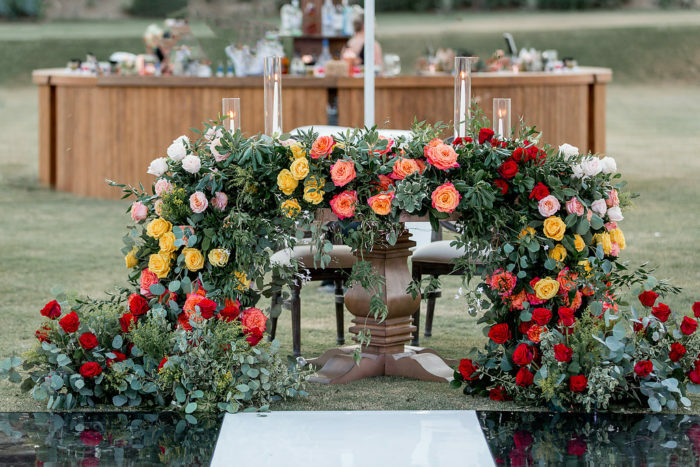 For this celebration, the clients wanted rich red to be a focus, along with luxurious amounts of greenery and vibrant corals, yellows, and light pink. And the chuppah had to be amazing. 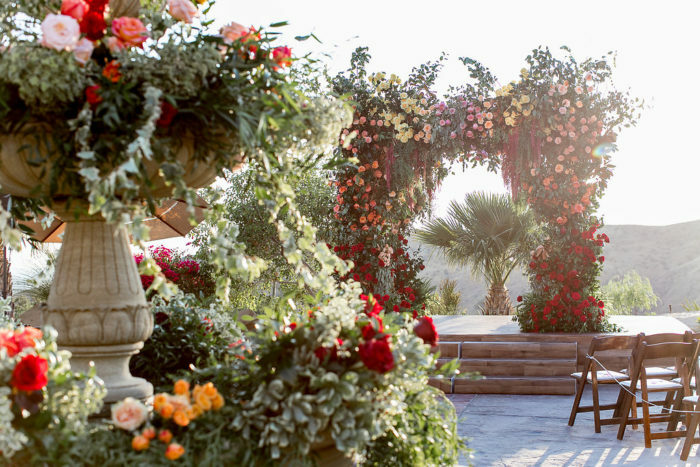 Of course, that’s one of our specialties, and we created a stunning chuppah with a light ombre effect. 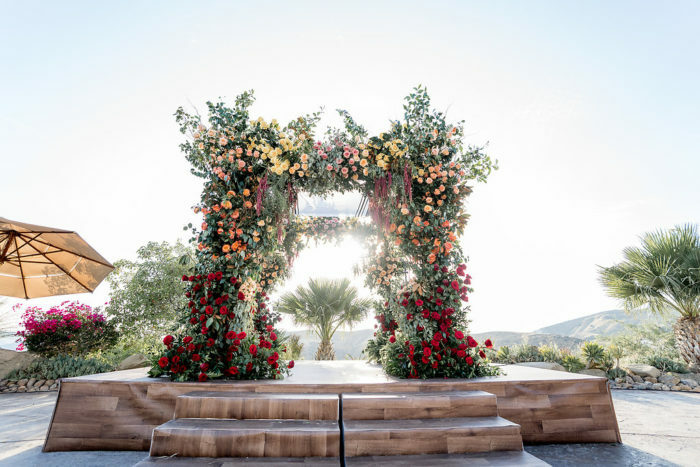 The Chuppah featured a spectrum of color, carefully placed for a slight ombre affect, starting with rich red roses at the base of the chuppah. Amaranthus and greenery added texture and movement. 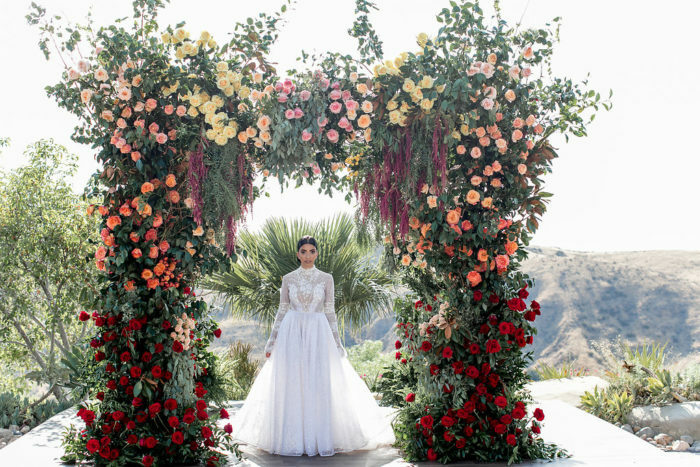 The floral design of the sweetheart table was a continuation of the chuppah, with the same rich colors and lush greenery. 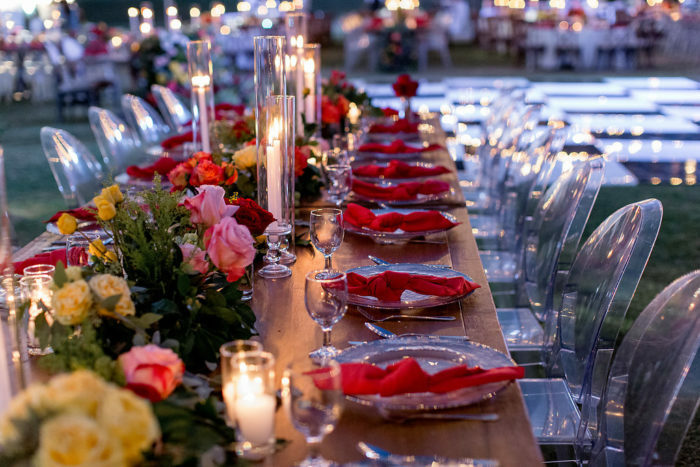 The runner of florals spilled off the table for a breathtaking display. 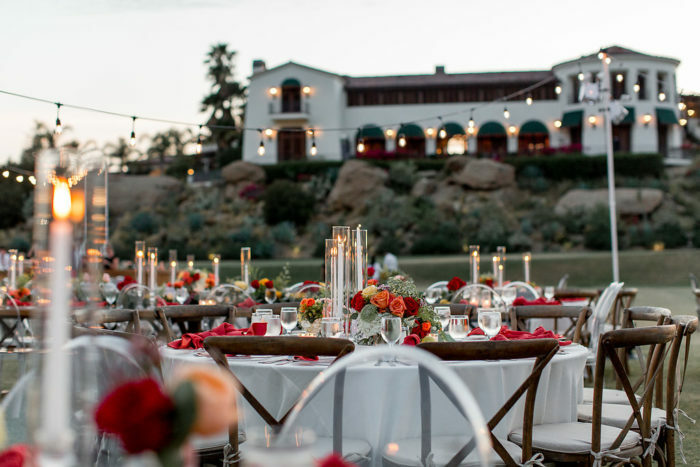 The architecture of the Villa building on the Hummingbird Nest Ranch property is a popular setting for both receptions and ceremonies. 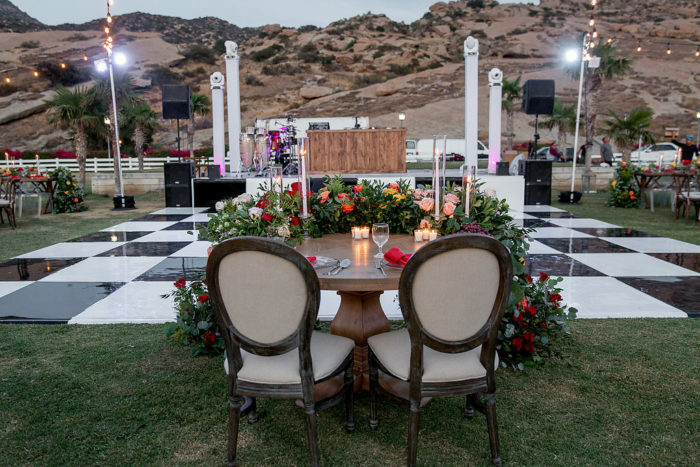 In this case, the couple decided to use the space for their ceremony. 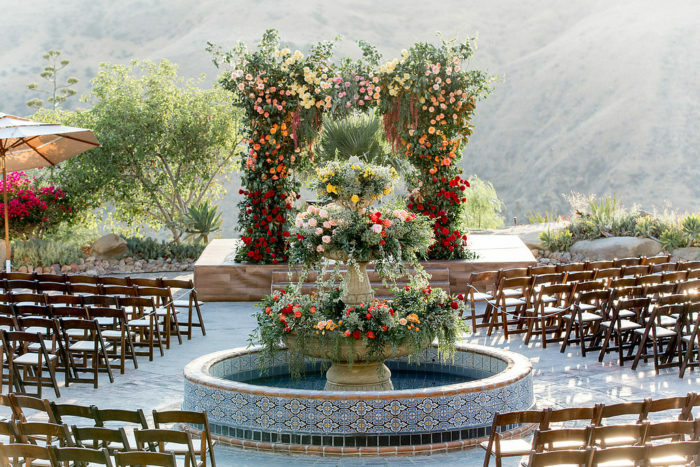 The existing fountain at the Ranch was ideal for dressing with more florals, and the chuppah was set against the backdrop of a stunning horizon of hills and mountains. 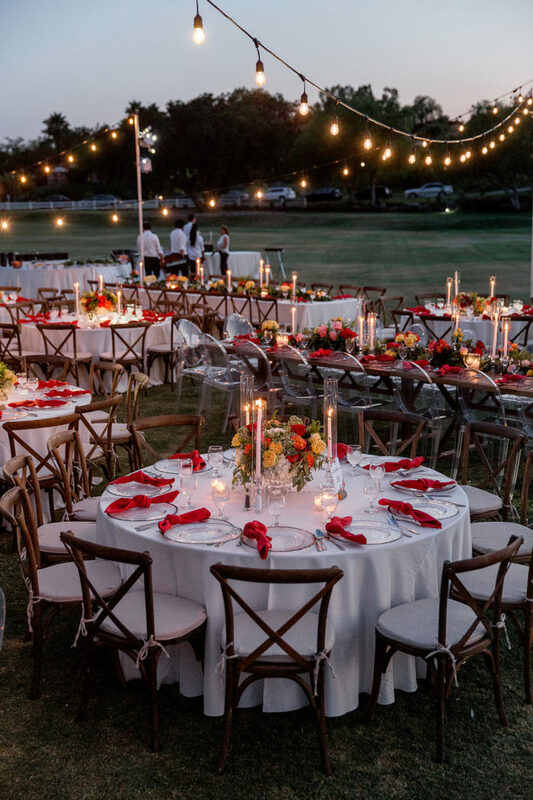 The reception on the Grand Prix Lawn featured string lights, long and round tables, and two types of chairs – ghost chairs and wood crossback chairs – for a mix of styles and textures. 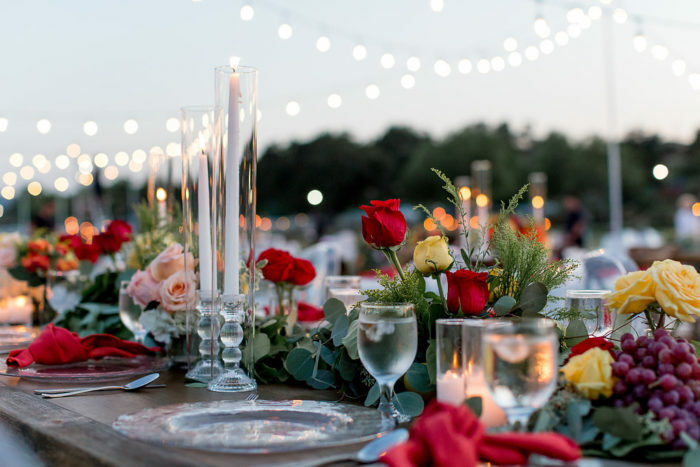 Floral runners on the tables and bright red napkins at each place settings added more pops of color to the overall palette. 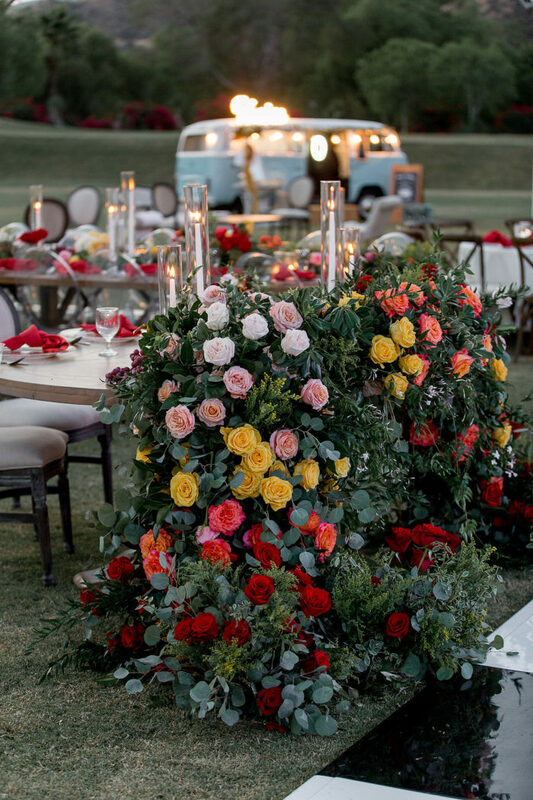 We love playing with bright, strong colors and making them work with any event design. For more information on how we work and our availability, contact us here!